Morgan Simonsen's Blog | Information wants to be free! What Packer really means is that your credentials are wrong. Check your values for client_id and client_secret. Remember that it is the Application ID that is your client_id, not the name or the object ID. First of all; “full access” is not the name of a role in Azure IAM. Since they go on to mention “owner”, which is a role, later on when discussing the use of a pre-existing resource group, I assume that owner is what they mean. But the Packer service principal does not need owner. It just needs permissions to perform the creation and deletion of resources at the right level. Contributor works fine. -var 'key=value' Variable for templates, can be used multiple times. ==> azure-arm: ERROR: -> BadRequest : An invalid value was provided for ‘accessPolicies’. This is because Packer uses the value provided for object_id in the KeyVault access policy, which is accepted by the Azure ARM API (after all, it is just a GUID), but does not work in the next step when Packer tries to retrieve the value of the secret. Again, the solution is to set the correct value for object_id. People talk more about this issue here. All of us running our blogs on WordPress have some knowledge of MySQL, which is WordPress’ database back-end. I run my WordPress blog (the one you are reading now) in Azure App Service. We used to be able to create MySQL databases in the Azure portal directly. This was made possible through a partnership between Microsoft and ClearDB. Providing an offering running MySQL in Azure datacenters, but managed by ClearDB. You could see and manage your MySQL resources in the Azure portal, and even pay for your MySQL usage with your Azure credit. This option disappeared some time ago, at which time we all had to start managing our MySQL databases from the ClearDB management portal. At the same time the MySQL resources disappeared from the Azure portal. Since H2 2017 Azure DB has been able to natively support MySQL. This is now a native Azure resource on the same level as regular Azure DB MS SQL. With this new offering I can once again run, manage, and pay for, all my blog resources on Azure. This posts shows how I migrated from ClearDB MySQL to Azure DB for MySQL. There are a few things I did differently. I selected the smallest possible database SKU; 1 vCore and 5 GB memory. This seems to be adequate for the traffic my site is receiving. I recommend to follow the Microsoft blog post author’s setup of allowing only the outbound IP addresses of your Azure App Service in your database firewall rules. You might be tempted to enable the option Allow access to Azure services in the firewall setup, but I recommend against it. This setting allows connections from all Azure public IPs, not just the ones you use. This can potentially open you up to denial of service or other attacks from malicious actors who are also using Azure. If you do decide to use this option, set a good password and monitor your database for connections from IPs you do not use. This will add the flag to use SSL for database connections and also turn off verification of the database certificate. With this added to my WordPress config I could enable Enforce SSL connection for my database. I have seen some posts on Server Fault about how using SSL between your front-end and database impacts performance. I have yet to see some detrimental effects of this setting, but will monitor it in the coming days and update this post with my findings, if any. This would suggest that I did not need to disable verification of the database server certificate. I want to investigate if I can disable that setting and have certificate validation enabled. More to come on this topic. There is also a WordPress plugin to handle database SSL connections. The database migration was very quick. The site seems to be running fine, and I have yet to find any issues. Please sound off in the comments if you experience anything wrong or strange in the coming weeks. I plan not to make any more changes in the immediate future to make sure any issues are related to the database migration and not something else I did. When all is fine I will delete my ClearDB database. Thanks for reading! For some time I have had some strange symptoms on Windows 10 systems when they were accessing the Internet over a VPN connection. In my case the VPN provider was TigerVPN. 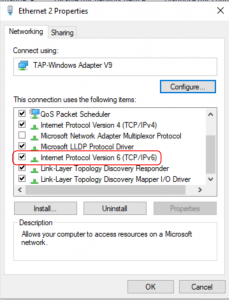 This issue is unrelated to the provider, but is instead caused by the Windows networking stack when used with the OpenVPN software (which many VPN providers use). More on that later, first let’s explore the symptoms. You’ll need the internet for this. Other problems include, but are probably not limited to, not being able to change your Windows Insider settings and issues with the Xbox app. All other network operations that I tried worked fine, but there could also, of course, be other issues. I can’t say exactly what caused this issue to arise. After all, having IPv6 enabled on adapters that are connected to IPv4-only networks works fine. I suspect this has something to do with one of IPv6’s transition technologies, Teredo, 6to4, ISATAP or PortProxy, but I did not investigate this further. This is a case where I am happy to accept the empirical fact that turning off IPv6 resolves the problem. I have not seen any negative effects of this “fix”. 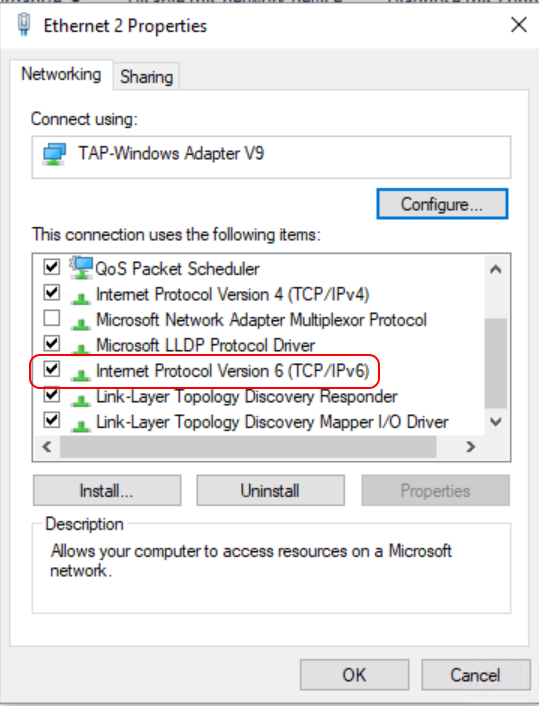 My VPN provider does not support IPv6 yet so I am not loosing anything by disabling it on my adapter. When TigerVPN finally implements IPv6 support I expect that I can leave IPv6 enabled and not experience any issues. Time will tell. NOTE: While we are on the subject of VPNs and IPv6 I would be remiss if I did not mention what is known as “IPv6 leak”. Very quickly “IPv6 leak” can happen if your VPN provider only supports IPv4 and not IPv6, and worse, just ignores any IPv6 traffic. If your ISP supports IPv6 and you get an IPv6 public address over which you can route traffic; that traffic will not be captured by your VPN provider (since they ignore it), and could thus “leak” and expose your identity, location and activities. Some VPN providers support what they call “IPv6 leak protection” where they still do not support IPv6, but when the VPN connections is established they insert black hole routes to all IPv6 destinations. I strongly recommend you find out exactly how your VPN provider handles IPv6 if you rely on VPNs to maintain your privacy (as you should). This is how you can see if you are a potential victim of IPv6 leak. I recently had the need to copy some Azure managed disks to another region. Since managed disks are not backed by storage accounts like unmanaged disks, you cannot simply do a blob copy and be done. You have to copy your managed disk to a temporary storage account in your target region and create a managed disk from it. Creates a temporary storage account with a random name (mdcopynnnnn) in the target resource group in the target location. A new storage account is created each time the script runs. Copies each disk into the target storage account using a blob copy with a SAS. Creates new managed disk resources in the target resource group and target location, with the same names as the source disks. By default the target storage account is PremiumLRS, you can change this in the variables. I use a 3600 seconds (1 hour) duration for the Shared Access Signature. If you think your disk takes longer to copy than that; increase the value in the variables. There is a timeout, set to the same value as the SAS duration, so the script will continue after the copy has been going on for longer. Assumes you have already logged into Azure and selected the correct subscription. Only copies disks within the same subscription. Assumes your target resource group already exists. Neither deletes the temporary storage accounts or the source managed disks. I will not delete your data! Absolutely no warranty whatsoever; use at your own risk! Slides from our webinar How to create awesome customer experiences are now on SlideShare. Get them here. Over the years the setup process for the Windows OS has been streamlined and optimized a lot. It used to be that you have to input a lot of information throughout the installation and the actual transferring of the OS files onto the hard drive took a long time. Now, the data copying has become a lot quicker by using things like imaging technology, and the user interaction during setup has been reduced to the bare necessities. So much so in fact, that I personally am now missing a few options that I could previously set. One of those is the computer name or hostname; the name you give your computer. In Windows 10 there is no question during setup what the computer should be called. Instead, Windows Setup automatically generates a name for you that looks something like this: DESKTOP-7KCPLCO. You can of course change this later using e.g. PowerShell’s Rename-Computer cmdlet. The problem is that the original name is often stored in the services you connect to, before you can actually change it. For example, when you join Azure AD during the Windows 10 Out-of-Box-Experience (OOBE), your machine is joined to Azure AD with the name that Windows Setup configured, and even if you change it later, it does not update in Azure AD. This is surely (hopefully) something that Microsoft will fix, so that it works the way it does in local Active Directory, where, if you change the name of a domain joined computer; the name in the directory also changes. But for now, that is not the case, and it can be quite a challenge keeping track of all those DESKTOP-<random number> machines. You must enter you desired name in the ComputerName element, and also change processorArchitecture from amd64 to x86 if you are using this file to install the 32-bit version of Windows (which you shouldn’t). Remember to adhere to the rules for computer names, which you can find in the information about the ComputerName element provided above. So how do we get Windows Setup to read our unattend.xml file during setup? When we do large deployments of Windows we usually have several XML files for different variations of installs, and they are specified using the deployment tools used. Luckily for us, we need nothing so complex here. Remember, we are talking about the occasional install of a few machines. Windows Setup is configured to implicitly look for an unattend.xml file in several locations when it starts. (It’s called implicit, because you can also explicitly provide an answer file using a command line parameter.) Windows Setup looks in a lot of places for unattend.xml, and also looks for other XML files to use with other phases of setup, but we don’t need to go into detail about that here. Setup will look for unattend.xml in the root of all RW/RO removable drives on the system, and this is by far the easiest method to achieve what we are trying to do here. After you have configured your desired name in the piece of XML provided about, save it as unattend.xml, in the root of either the USB drive from which you are installing Windows, in the root of another USB drive, of even on a floppy disk (virtual or physical). As long as it is called unattend.xml, is in the root of the drive and the drive is of type removable, it will be picked up by Windows Setup. Start Windows setup as you normally would and wait until OOBE starts, then configure your computer like you want it. The setup process itself will not change and you will have no indication that the machine has been given another name until you can access the desktop and check for yourself. Once that happens you can use e.g. hostname.exe to see if your change was successful. Note that since setup looks in several places for unattend.xml, it might find more than one. There is a search order and the answer file with the highest precedent is used. Make sure you know which one will be picked in your scenario and that you make your changes in that file. Ever since the Windows Subsystem for Linux/Bash on Ubuntu on Windows feature in Windows 10 I have been playing around with it. Canonical, the makers of the Ubuntu Linux distribution, and Microsoft, made the Windows Subsystem for Linux (WSL) together, and it enables bash, which is the de facto default CLI shell on Linux, to run on Windows as a first class citizen. You no longer need things like Cygwin to run bash and its command language and tools on your Windows 10 computer.Recently I did a little customizing to get a more genuine Ubuntu feeling on my Windows box. Specifically I wanted to make my Windows-based bash window look as much as the real thing as possible. Windows has its own fonts for console windows, like Command Prompt (Consolas) and PowerShell (Lucida Console). 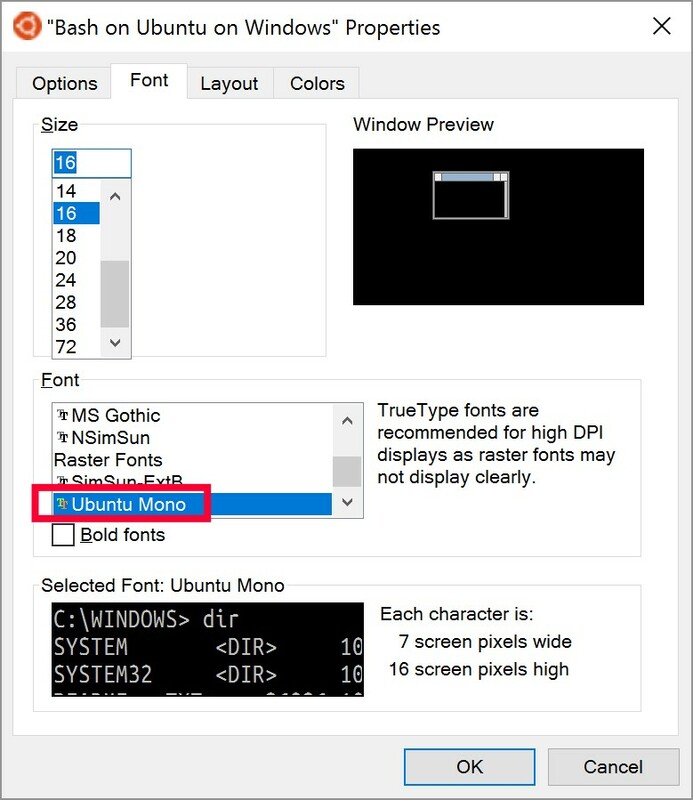 But Ubuntu uses the Ubuntu Mono font for its console windows. Luckily for us the Ubuntu Font Family, of which Ubuntu Mono is a member, is freely available to anyone, in easy to install TTF format. To use it for your bash windows, download the package from the Ubuntu font site, extract its content and right-click each font file (.ttf) you want to install. You would expect that a service that is responsible for the naming of objects within a namespace should prohibit the creation of objects with the same leaf name and fully qualified name. Put simply you should not be able to have two files in the same directory with the exact same name in your file system. Likewise a directory service should do the same, or should it…? It depends on the rules of the service actually, and what those rules specify must be unique. Take good old Windows Server Active Directory for example. Active Directory is based on LDAP and in the LDAP naming scheme an object may have the same Relative Distinguished Name (RDN), as long as the Distinguished Name (DN) is unique. In this case the RDN is the leaf name and the DN is the fully qualified name. So you can have two users named John Doe as long as they do not both reside within the same Organizational Unit (OU), or location, in the directory. So in AD the rules specify that the DN must be unique. There are also other rules like the ones that say no two users can have the same sAMAccountName or UserPrincipalName properties. It will succeed and you are left with a number of groups which look identical until you look at their ObjectID properties. I’m sure you can imagine the interesting side-effects of having more than one group with the same name… How is this allowed you ask? Users must have a unique UPN attribute within a forest, and a unique sAMAccountName attribute within the domain. No such requirement exists between forests. The RND can be the same as long as the DN is unique. Groups must have unique sAMAccountName attributes within a domain. No such requirement exists between forests. The RND can be the same as long as the DN is unique. The mechanism within a forest that makes sure the above requirements are met is the global catalog (GC). Anything goes, nothing is shared between forests, even forests that trust each other. You could even have two forests with the same forest root name and UPN suffixes. There would not be able to interact with each other of course. Form this we see that we can have groups that have the same name, they are only separated by their sAMAccountName attributes in Active Directory. Azure AD Connect does not synchronize the sAMAccountName into Azure AD so we get duplicate groups. At this point you may be wondering what happens if you have two disparate forests with the same forest root name, how will they sync? Answer is they won’t, that is not a supported scenario by Azure AD Connect, which uses DNS to find the DCs of the forests. You may also be wondering why this does not apply to users. Users have a unique attribute that is synced into Azure AD; the UPN. As long as it is unique within the forest the user will sync to Azure AD. If you have two forests with the same UPN for two or more users, but still are able to be part of the same Azure AD Connect sync installation, something which is possible if you configure the same UPN suffix in both forests, Azure AD connect will block the syncing when it encounters these users. NOTE: Manipulating Active Directory directly it is actually possible to have two users with the same UPN in the same domain or forest. If you try to sync those users into Azure AD they will be blocked like described above. The good news regarding groups is that Microsoft are working on a way to handle groups better in Azure AD Connect so that we do not get these duplicates. The fine people at Cisco Meraki have recently enabled SAML SSO support to their Meraki Dashboard service. For those of you who don’t know Meraki is Cisco’s cloud managed networking solution. Basically you manage all your networking equipment from a web portal. For more information about Meraki, go here. Whenever I start using a new web application, which is what the Meraki Dashboard is, I always look for options to integrate it with my existing identity platform, which in my case is Azure AD. The benefits of doing this should be apparent and are not in the scope of this post, but basically I want to control access to all applications with one identity and thus limit the numbers of logons I have to maintain. 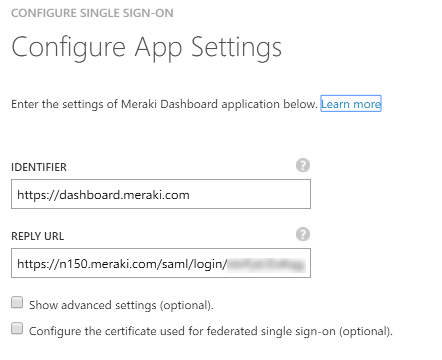 Note: Let me just mention that at the time of writing; the SAML SSO feature of the Meraki Dashboard is in Beta. So let’s look at how we can now integrate Azure AD and Meraki. Meraki have provided their own documentation on how to set up SAML SSO with either ADFS or OneLogin, this documentation is available here. But we want to use Azure AD. In this section we complete the basic SSO setup. First enable SAML SSO for your organization. Just enable it for now and press Save. On the page of your newly created application select Configure single sign-on. Select Microsoft Azure AD Single Sign-On as the sign on method. For your application identifier and reply URL enter https://dashboard.meraki.com. NOTE: We will change the value of the Reply URL in the following steps. Download the certificate in Base 64 format and open it. On the Details tab, find the certificate thumbprint and copy it. The logout URL is where the Meraki Dashboard will redirect users when they sign out, this location should be where they can sign in again, which in this case is the MyApps portal. Advance to the page of the wizard where you downloaded the certificate and check the box labelled Confirm that you have configured single sign-on as described above. 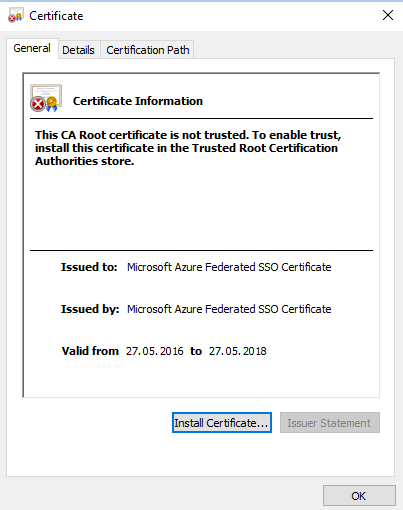 Checking this will enable the current certificate to start working for this application. Finish the Configure Single Sign-On wizard. Now we need to configure roles in Meraki Dashboard to control the level of access that SSO users get. You can configure many roles and granular network access here, but we will create only one role. Go to the Meraki Dashboard and navigate tot Organization\Administrators. In this section we configure the claims that the Meraki Dashboard needs to work. Currently Meraki Dashboard requires a username and a role claim, issued using their naming standard. 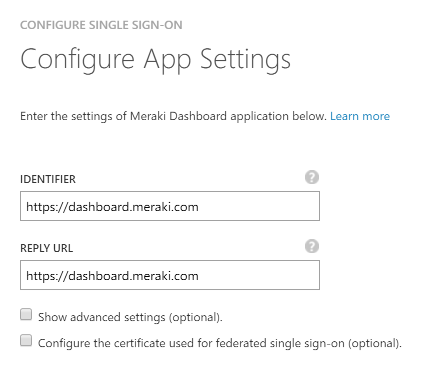 In the Azure AD portal, go to the Attributes tab of the Meraki Dashboard application. Feel free to delete any claims you don’t want to send to the Meraki Dashboard. In this scenario we use Azure AD as the control plane for who gets the Organization role we specified earlier. We do this by assigning the Meraki Dashboard application to the specific users we want to be organization admins. Select Show: All Users in the drop down box. Select the users you want to be organization admins and hit Assign at the bottom of the page. As you can see from the above configuration, all users that are assigned the Meraki Dashboard application will get full Organization access, based on the role we created This is almost certainly not what you want, but this is just an example. In the Meraki guide for ADFS we see that they use Active Directory groups to select which role is passed in the claim. Unfortunately, the logic to do this is not available in Azure AD at the moment. You cannot select a claim value based on a group. What you can do instead is use a free attribute in either your local Active Directory or Azure AD to specify the name of the Meraki role to give the user. To accomplish this you must first map out all the Meraki roles you need and then provide the names of these roles in the role claim, based on the value of the attribute. Now let’s see if it worked. Log in to the Azure AD MyApps portal as one of the users that you assigned to the Meraki Dashboard application; https://myapps.microsoft.com. 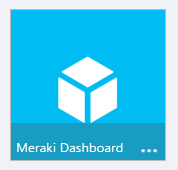 Hit the icon and you should now be forwarded to the Meraki Dashboard. Notice that your username at the top is now your User Principal Name from Azure AD. Navigate to Organization\Administrators and hit SAML login history. This will display all SAML logins to the dashboard. Your login should show up here. You can also press the value in the timestamp and you will see more details, and you can even view the entire XML assertion. Hopefully everything is working for you. If you want to further customize this setup you could for example add a logo to your app and remove the claims not needed by the Dashboard. You now also have access to all the advanced access policies of Azure AD and can add MFA and location based access rules and provide delegated self-service access. There are a few things to note about the Meraki SSO support in general and this setup in particular. If the username of the admin that signs in with SSO is already registered as a regular dashboard admin the sign in will fail.